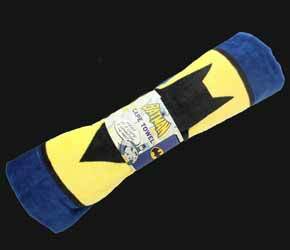 The Batman Cape Towel is a novel way to make bath time fun for kids. 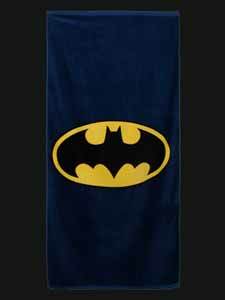 Once they step out of the bath and are dried, they can then use the handy velcro straps to turn it into a cape, with the bat symbol proudly on display. It's quite large (135 cm (length) x 72.5cm (width)) and is soft and fluffy, as it's made from 100% cotton. And, for the days when this one is in the wash, the company also manufacturers a Superman version too.